Retired Supreme Court Judge A. W. A. Salaam is receiving his appointment letter on 22.12.2016 as a member of the Commission. Dr. Selvy Thiruchandran receives her appointment letter on 12.12.2016 as a member of the commission. 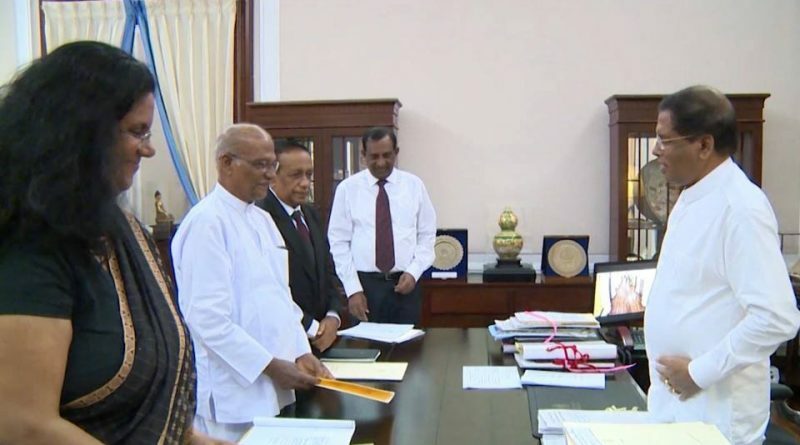 Remained appointments of two commissioners for Right to Information (RTI) Commission were made by president Maithripala Sirisena yesterday (22.12.2016). 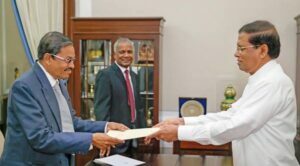 They received their letters of appointment from president Maithripala Sirisena at the Presidential Secretariat in Colombo. Justice A. W. A. Salaam is a distinguished Appeal Court’s judge and Dr. Selvy Thiruchandran is a women’s rights activist, who was a member of the UN Women’s Civil Society Advisory Group. The major obstruction for the implementation of Right to Information commission and RTI Act has been terminated now, which will be a great achievement of the citizens who value democracy and freedom of information. The RTI act will go into effect from the independence day (04th) of 2017, February. 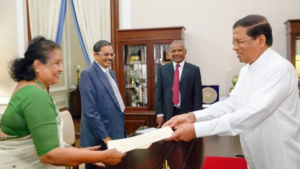 (from left) Senior Lawyer Ms. Kishali Pinto-Jayawardena, Senior Lawyer Somapala Punchihewa and Mr Mahinda Gammanpila recently received their appointment letters from President, effect from 01.10.2016.